Today marks the beginning of an exciting week for me. I am on site at one of our major clients installing an Information Exchange Gateway demonstrator that I’ve been working on for the last few months. Over that time I’ve seen a growing amount of interest in Information Exchange Gateways (IEGs) from various military organisations, so I decided that it was the right time to start a mini series of blog articles on the topic. First of all what actually is an Information Exchange Gateway? An IEG is a system designed to facilitate secure communication between different security and management domains. Information exchange is required in the military context to provide seamless human-to-human communication across the force for mission planning and execution. An IEG is a solution for effecting information sharing between different security and information domains by providing a managed set of information exchange services. The purpose of the information exchange service is to connect domains that otherwise lack interoperability. Whilst information exchange is desired, the confidentiality and other information assurance aspects of connected information domains must not be compromised and therefore suitable information protection services must be implemented. Why is there so much interest in Information Exchange Gateways? In today’s military operations there is an increasing reliance on both coalition partners and network-enabled capability. This combination means that there is an ever-growing requirement for the secure exchange of information between different nations’ forces. For example during the NATO operation in Afghanistan the requirement to exchange information between nations was facilitated by the Afghan Mission Network (AMN). Based on the success of AMN the concept for a Federated Mission Network (FMN) was established, which will begin to be deployed this year. 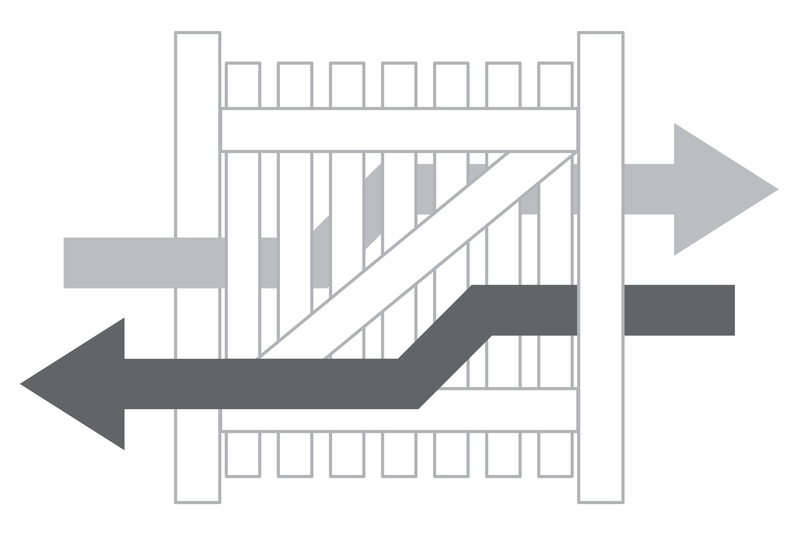 What kind of Information Exchange Gateways exist? NATO has defined a number of IEG scenarios, each with scenario variants. 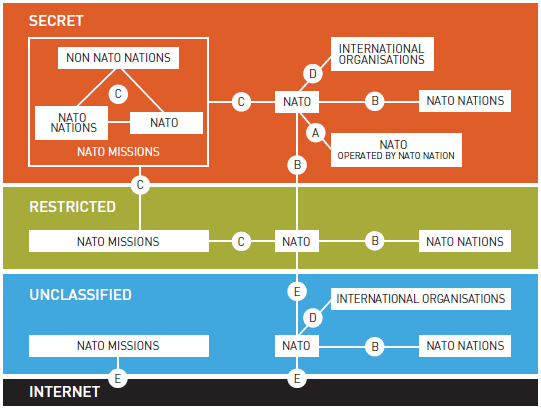 The information sharing needs span many different types of organisation and trust: between trusted NATO partners; between non-NATO military forces, between military and international organisations; and even open source intelligence from the Internet (such as Google maps to provide local situational information). The five scenarios (A-E) take account of the security classifications of the domains that they connect, as well as the security policy, the owners and the administrators of those domains. I hope this post has given you some insight into IEGs. In my next post in this series I’ll take a look at how you go about developing an IEG solution and let you know how our current project is going. In the meantime if you want to find out more about IEGs you can always have a look at the Nexor website or contact me. ← To Stop Data Theft, Disconnect From The Internet?